Hey guys! This will be a quick share tonight as I am falling asleep on my computer–at only 8:30! We’ll be starting some lessons on “seed ideas” in Writer’s Workshop this week, so I made a little visual to display with the anchor charts we’ll be creating soon. 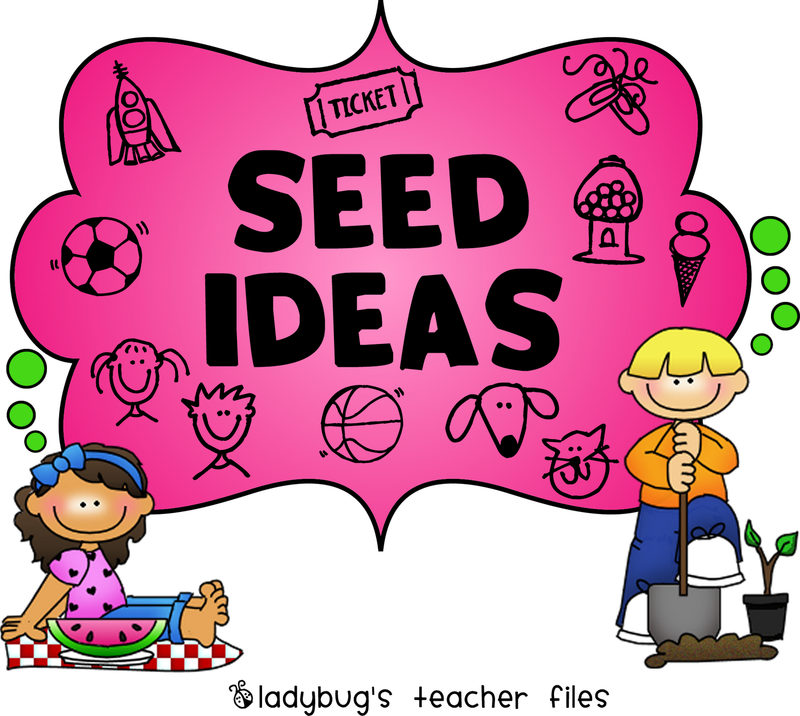 We actually discussed seed ideas a couple of weeks ago while we were exploring authors’ websites. Roald Dahl’s site has some nice features and the one we liked best was his taped interview from 1988. He mentioned seed ideas and talked about his habits as a writer–it was really cool. But my students were like “huh?” when it came to the seed idea (ELL newcomers, as you know). So we had an introductory mini-lesson on seed ideas and the reason for the name, etc. Hence the sign above! Well, hope some of you can use it in your room and that your week is off to a nice start!! I like the idea of sharing the websites and the authors with the kids. I am curious how you show it to them – do you do it as a class on the screen? Loving this seed poster. Eric Carle has a cool site that my first graders liked last year because it showed how he makes his art. What is the font you use on a lot of your charts, like at the top of your digraph chart that has the graduated colors?